Thinking Question: If I called you on the phone and said I had a red apple in my hand, what image would enter your head? Describe your answer. Hold up a real apple (red) in front of the class. Have them list all their observations and thoughts about the apple. For example: color, texture, shape, etc. Accept all answers. Have students close their eyes. When they open their eyes, hold up a red plastic or wooden apple. Have them cross off everything on their list that does not apply to the new apple. Have students close their eyes again. When they open their eyes, hold up a red rubber or foam apple. Repeat. Have students close their eyes again. When they open their eyes, hold up a picture of a red apple. Repeat. Have students close their eyes again. When they open their eyes, hold up a piece of paper with the word “Apple” written on it in red marker. At what point does the apple stop being an apple? Which one is not an apple at all? Discuss why or why not. What does an apple mean to you? Be very specific. Why is it important to be specific when describing something to another person or recording information? This is a great activity! Approximate time = 20 minutes. Higher order thinking skills such as Evaluation (Blooms) are involved. Great discussions and debates about the apple. 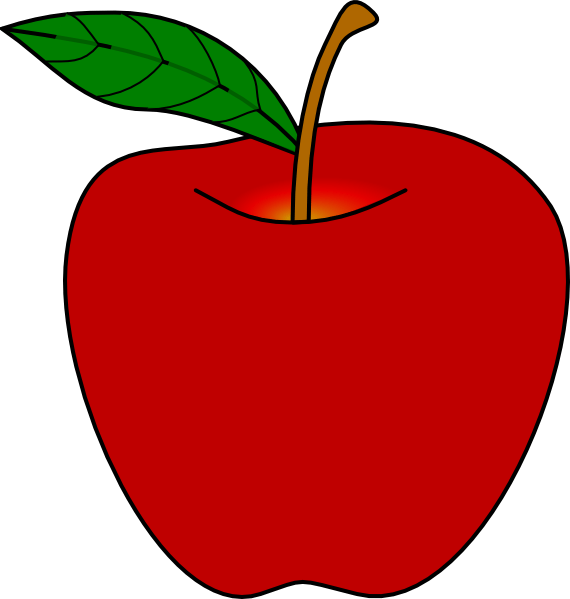 You can do this as a small group activity by giving each group a real apple (Red Delicious works nicely) and let them observe it and write down as many characteristics as they can, i.e. red, white spots, stem, smooth, leaf, bumps, etc. This is a modified version of the original lesson, which was from a NASA Workshop I attended in 1997-98. Great site. Love this apple activity to really zone in on observations skills. Just thought of another step, right before you write the word apple on paper hold up an iPhone with the picture of an apple on the back. I assumed you had life science too. Thanks for the quick response and for sharing your material. I love your website and have used many of your ideas in my classroom. I am teaching cells for the first time in several years and wanted to see your interactive science notebook for that unit (the notebook table of contents and links to worksheets was very helpful). I cannot find the same links on your new website. Are they still here? Thanks for letting me know you’ve used the site and it has been helpful!